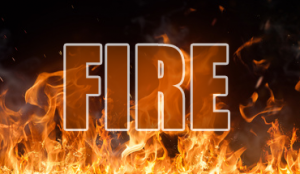 PILLOW – A lightning strike is said to have started a house fire in lower Northumberland County Friday night. On social media, contributors to Northumberland County Fire Wire says the blaze was first reported just before midnight Friday. Those reports say the fire was at a home at 886 Turkey Valley Road in Jordan Township. That’s just north of the Dauphin County line and the borough of Pillow. The Fire Wire reports say a lightning strike ignited the fire. The Daily Item says no injuries were reported, and volunteer fire fighters were able to prevent the fire from engulfing the house. Fire crews remained on scene until about 3 a.m. Saturday, according to The Daily Item.